Once, there was a time when your credit history did not dictate whether or not you could obtain a standard checking account. But over the years, more banks and credit unions began requiring customers to have good credit in order to open an account. In the eyes of financial institutions, a high credit score indicates that a customer is financially responsible. Unfortunately, there are many potential customers who cannot meet this good-credit requirement imposed by most banks. The good news is that banks now recognize that sometimes people make financial mistakes or are the victims of unfortunate circumstances that leave them with credit histories that are less than great. Now, many banks offer checking accounts for those with bad credit, and some financial institutions are doing away with the credit-check process altogether. HomeStreet Bank offers Washington residents without a checking account the Bank On option. The free Bank On account offers a free Visa debit card and access to HomeStreet Bank ATMs and over 22,000 affiliated ATMs. Account holders can take advantage of wire transfer services and free direct deposit. HomeStreet Bank also gives Bank On customers $100 if they choose to take — and successfully complete — a certified financial education while maintaining a positive balance in their Bank On checking account for at least three months. Having a BB&T MoneyAccount is an effective way to protect your funds without having to pass a credit check. 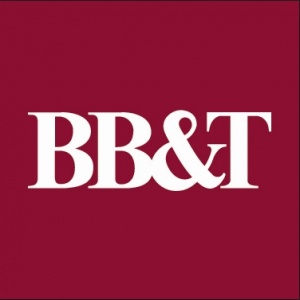 The BB&T MoneyAccount is a prepaid debit card account rather than a standard checking account. Account holders will get a prepaid, FDIC-insured Visa debit card, as well as the ability to use an app to deposit checks so customers can avoid check-cashing fees. MoneyAccount offers an easy solution to managing your finances because you’re only able to spend what’s available. Using this debit-card system eliminates the chance of getting hit with overdraft fees. The City National Bank Bounce Back Checking Program was created for people who have been previously turned down for checking accounts. No minimum balance is required but you pay a small monthly fee: $6.99 if you sign up for direct deposit or $8.99 if you don’t. The Bounce Back Checking Program also waives non-sufficient funds fees twice before applying $36 to each subsequent overdraft. 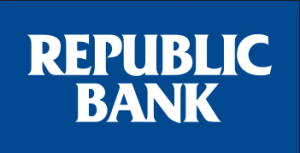 You don’t need to pass a credit check but you do need a minimum of $50 to open a Checking Rebuilder account at Republic Bank. The Checking Builder account does not require a minimum balance and every customer gets free, unlimited check writing. Additionally, Checking Builder account holders are eligible to open a savings account and to use online bill pay. 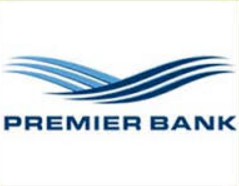 Premier Bank offers its StartFresh Checking account as a way to give people a second chance at a checking account. With this account, customers can enjoy the convenience of a checking account without having to pass a credit check or pay hefty fees. The StartFresh account features include a debit card and unlimited check writing. 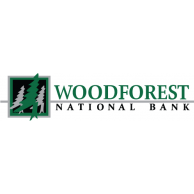 Designed to help out people who have had difficulty trying to open a checking account, Woodforest National Bank’s Second Chance Checking is an easy-to-get account that offers many of the same advantages of a regular account. Customers can choose their level of overdraft protection, from none to linking accounts and even getting an extended line of credit. 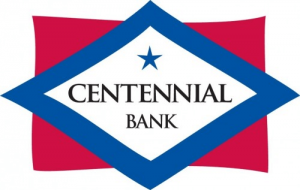 The Opportunity 100 Checking Account from Centennial Bank offers basic but useful features, making it an ideal account for people who want to build their credit. Account holders will get a debit card and access to other bank account advantages like free e-statements, personal checks and bill pay. After one year of keeping your account in good standing, you will be able to upgrade to a better checking account. When your name has been submitted to consumer credit reporting agency ChexSystems, it stays on file for five years, which can make it difficult to open a new checking account. If this has happened to you, your best bet is to look into second-chance checking accounts, like Landmark Bank’s Rebound Checking account. The Rebound Checking account is ideal for anyone with bad credit or who has overdrawn an account to the point of closing it. Rebound Checking can help you rebuild your credit and qualify for a regular checking account. It charges a monthly fee of $9.99, but offers a free Visa debit card and five waived ATM fees each month. The Wells Fargo Opportunity Checking Account allows you to make free automatic transfers to your savings account. Wells Fargo has 13,000 ATMS around the country, so you can enjoy the convenience of accessing cash without racking up extra charges from having to use an out-of-network ATM. The Pathway Checking account from Bank of the Ozarks helps people who have been turned away from other banks. The Pathway account is basic, but it does cover all the important aspects you’ll need in a checking account. First, customers will get a Visa debit card right away, which is a great bonus for those who need to access their funds without waiting for a card to come in the mail. A limit is put on how many bills account holders can pay each month before incurring fees: After 15 online bill payments per month, per login ID, you will incur a 50-cent fee for each payment. This content is not provided by any of the banks reviewed here. Any opinions, analyses, reviews or recommendations expressed in this article are those of the author’s alone and have not been reviewed, approved, or otherwise endorsed by any of the banks mentioned.